The last 20 years has seen a big growing interest in recreating Art Deco bathrooms, to either fit in with the style of an original house/appartment, or just wanting to add some glam to the room. Designing a new bathroom in this style takes a combination of intimate knowledge of the style, thorough technical knowledge of current plumbing requirements/fittings/regs, etc & crucially the ability to design in the Deco style. We offer all of this. 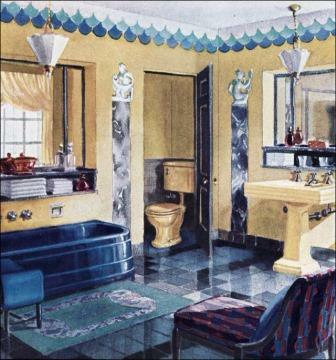 When the interiors / Homes magazines show you how to do an Art Deco bathroom, they are invariably white walled with black & white floor tiles (such as the black suite shown in this section). 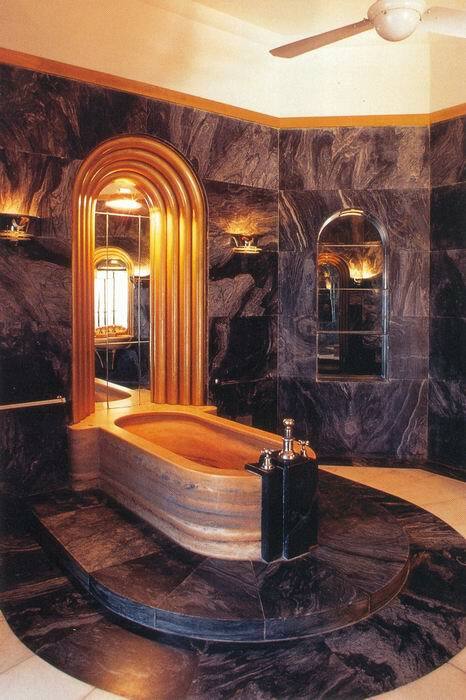 Try finding that scheme in any original Deco bathroom, as they're few & far between. 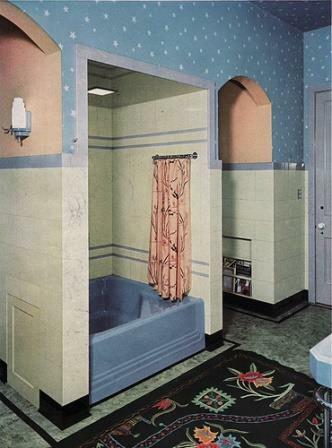 Look at the pictures above; that is how Deco bathrooms were presented to the public! The ability to design new bathrooms in the Deco style derives from good knowledge of what actually constitutes a Deco bathroom. 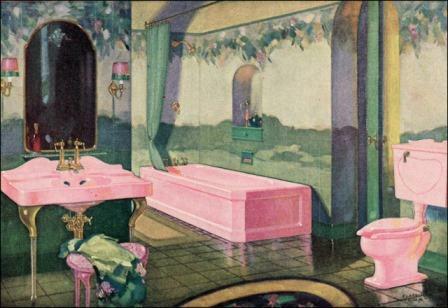 I've spent 20 years gathering source reference material on Deco bathrooms (actually Deco everything! ); from old adverts & magazine pages, books, web, etc etc. That is a wealth of material to draw on when considering your new bathroom design. There is no way you could show even part of that material here, there's just too much. The above few photos will give you a flavour for the wide range of styles & colours circulating in the Deco period. Contact us to discuss your project.